Am 8. und 9. 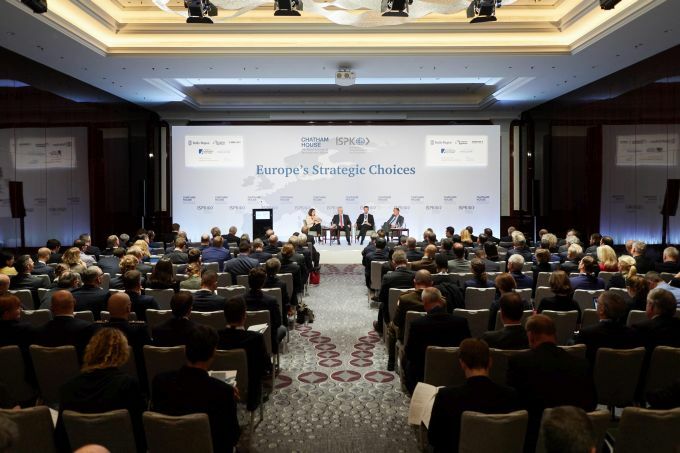 November 2018 hat das ISPK gemeinsam mit Chatham House die „Europe’s Strategic Choices“-Konferenz im Ritz-Carlton Berlin ausgerichtet. Die Konferenz hat in ihrem fünften Jahr über 330 Teilnehmerinnen und Teilnehmer aus Wirtschaft, Politik und akademischer Forschung zusammengebracht. Gemeinsam wurden die gegenwärtigen und zukünftigen strategischen Herausforderungen und Entscheidungen vor denen Europa steht, im Rahmen von Plenarsitzungen, Keynotes und Break-out Session diskutiert. 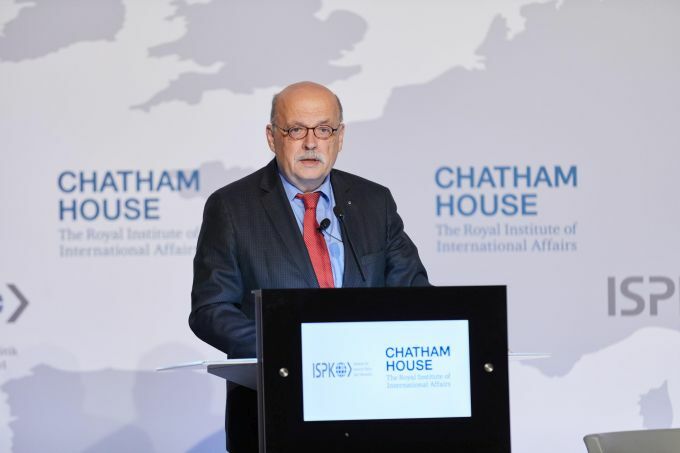 Zur Förderung des offenen Dialogs und Austausch unter den Teilnehmerinnen und Teilnehmern galt „Chatham House Rule“. Within Europe, while the economy has improved, and the political effects of Brexit are largely being contained, there are concerns about democratic norms and the undermining of liberal institutions in some European Union member states, as well as high levels of support for anti-establishment and radical parties across the continent. At the same time, efforts to reform the EU in order to safeguard its political and economic institutions are on the table, but there is no agreement on the future direction of the integration project. 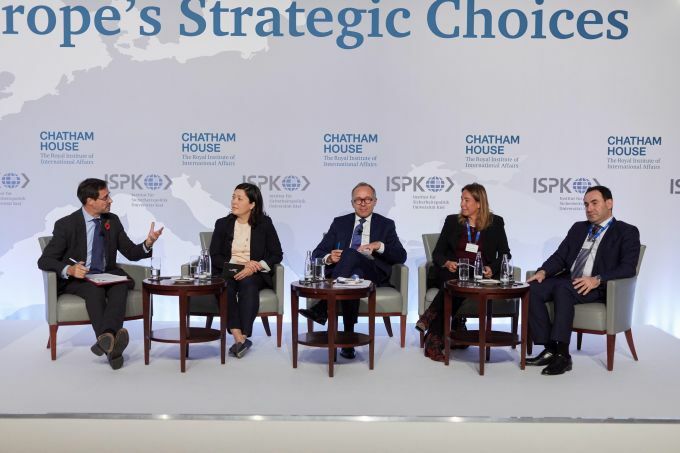 Internationally, Europe faces a series of uncertainties: rising protectionism and a potential tariff war, the growing influence of China and the declining political leadership of the United States on the international stage. 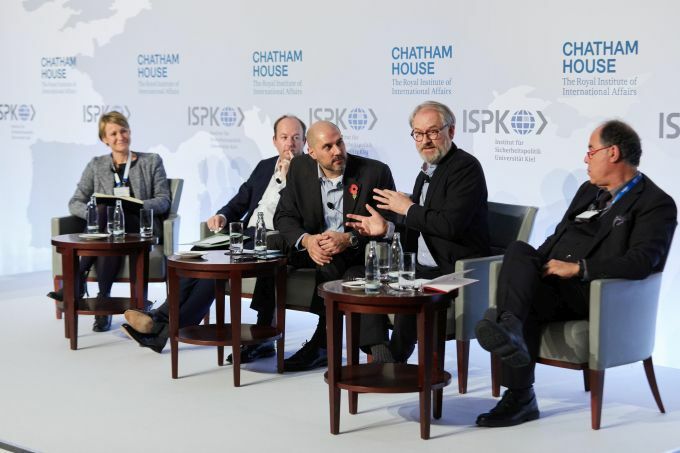 Consequently, concerns about the stability of the so-called ‘liberal order’ – and the collection of political norms, institutions and alliances which have formed its bedrock – are now widespread in Europe. How can Europe reform its institutions to protect itself against opportunistic populism from within and authoritarian challenges from abroad? 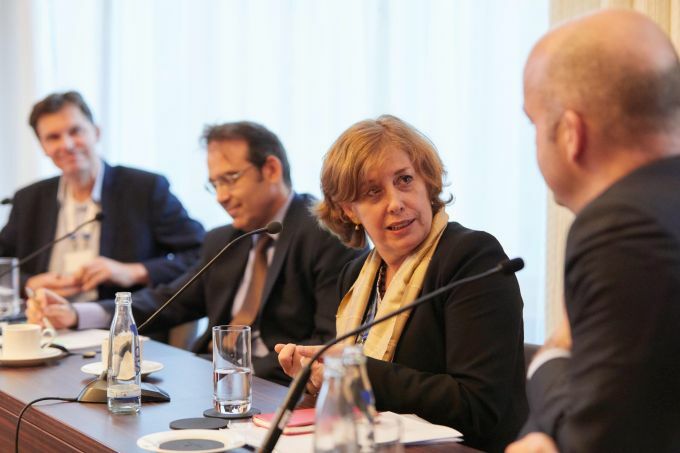 What does it take to protect Europe’s liberal norms and institutions? What are the major sources of disagreement on the future direction of the European integration project? How can democratic processes be protected from subversion; particularly personal data being utilized by private actors and companies to influence electoral outcomes? Does the whole of Europe share a view on the benefits of global economic liberalization? How can countries championing economic globalization better communicate and share its benefits among its citizens? Amid the rhetoric of ‘America First’ and disputes over the benefits of trade, could globalization go into reverse? 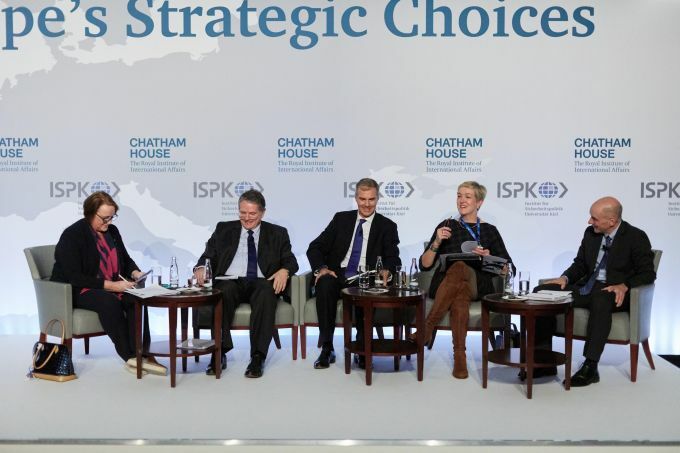 What are the prospects for a significant rift in transatlantic relations? A Britain and the EU after the Divorce: Alignment or Divergence? As Britain negotiates the terms of its withdrawal from the EU, the challenges and trade-offs inherent in Brexit are becoming ever clearer. With the clock counting down to Britain’s departure, there remain many difficult issues to be resolved, not least the final terms of transition and the shape of any future relationship. The politics of Britain remain deeply divided. Meanwhile, despite the unity of phase 1, the EU will also face difficult challenges in the months ahead to stay united. Will the UK and the EU be able to agree a new positive relationship for the future? To what extent can and will the UK and EU cooperate on foreign and security policy? 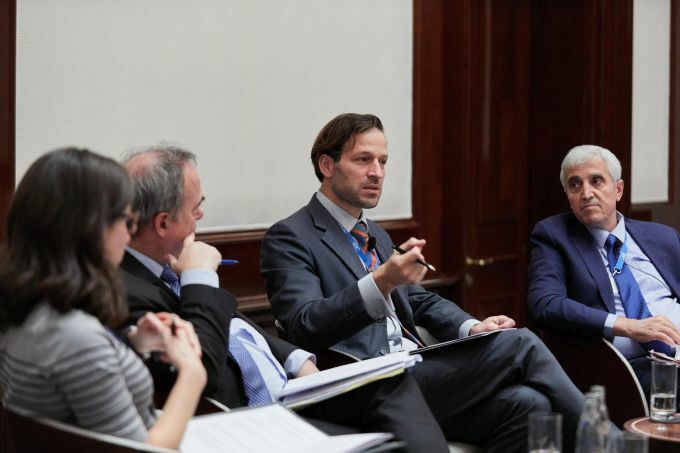 Is there a risk of the UK and EU diverging in important areas of policy in the future? How will Britain’s withdrawal change the balance of power and interests within the EU? 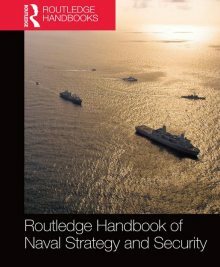 European navies (as well as the defence industrial and intellectual complexes) are increasingly tasked with diverse challenges ranging from counter-piracy and humanitarian assistance on the low end, to anti-submarine warfare and power projection on the high end. Navies (and coast guards, to a lesser degree) must be both a tool for foreign policy and the ‘Swiss Army knife’ facing a multitude of missions. At the same time, the seas are ever important for economic reasons, from cargo ships passing through choke points to undersea cables, from ports to seabed resources. This panel will take a geographical look at maritime focus areas, from the Baltic Sea to the High North to the Mediterranean and beyond Europe’s neighbouring seas, to answer questions about the future of cooperation with the US in NATO and the significance of the rise of new naval powers such as China. C How Should Europe Approach the Belt and Road Initiative? China’s flagship Belt and Road Initiative represents a grand ambition to boost trade and economic growth across Eurasia through investment in infrastructure across land and sea. 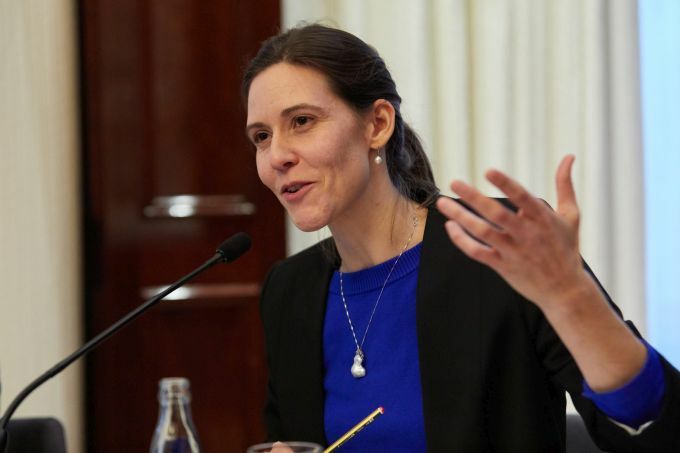 While some companies see significant opportunities, the proposals have generated some confusion over the details, and scepticism about whose interests they will serve. What does China hope to achieve through the Belt and Road Initiative and over what timescale? What opportunities could the Belt and Road create for the EU and European companies, and how might these be exploited? Does the centralization of political power in China make it a more difficult partner for Europe? Do diplomatic efforts like the 16+1 process indicate a Chinese strategy to divide Europeans? Given China’s economic weight, how successful might this approach be? Despite a more positive global economic outlook and synchronized economic growth in Asia, the US and Europe, the long-term perspective for growth in Europe is marked by challenges. While mature economies around the word have experienced stabilization in productivity growth, productivity performance in Europe has slowed since the financial crisis. 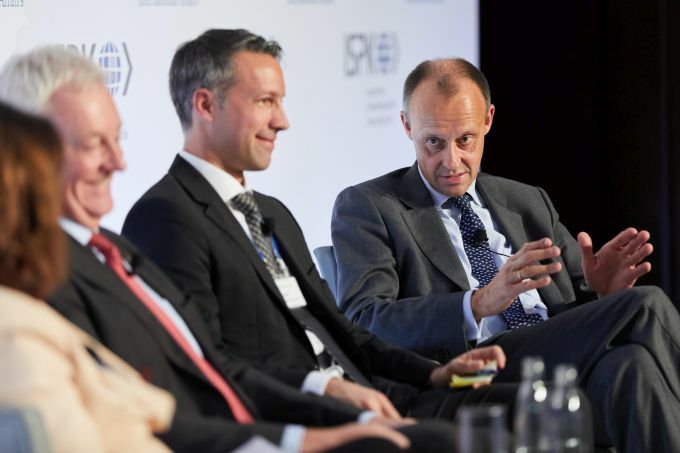 Political factors, including the fallout from Brexit, the prospect of a transatlantic trade war and an energy system vulnerable to supply disruptions, are compounded by economic factors, such as an underdeveloped capital market (in comparison with the US), a labour market that faces disruption due to digitization and automation, and the success of a monetary policy of cautious normalization. What are the policy and industry responses that should be pursued to guarantee European growth in this climate of uncertainty and disruption? 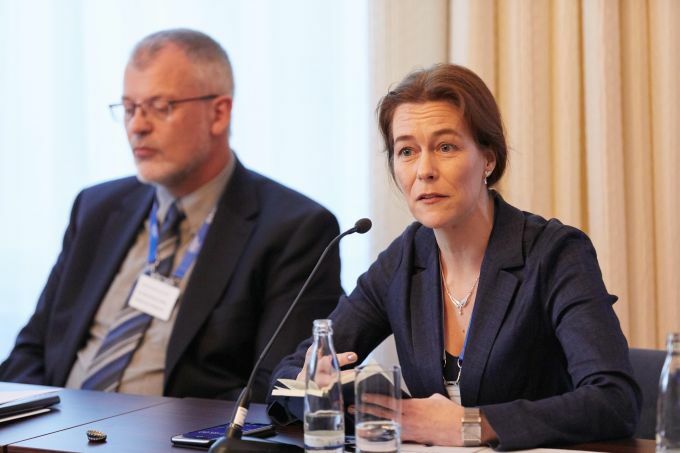 To what extent do European policy-makers need to rethink trade, investment and industrial strategies to support future growth in ways that address concerns about the future of jobs and living standards? How can the puzzle of increasing growth without increased productivity be explained? 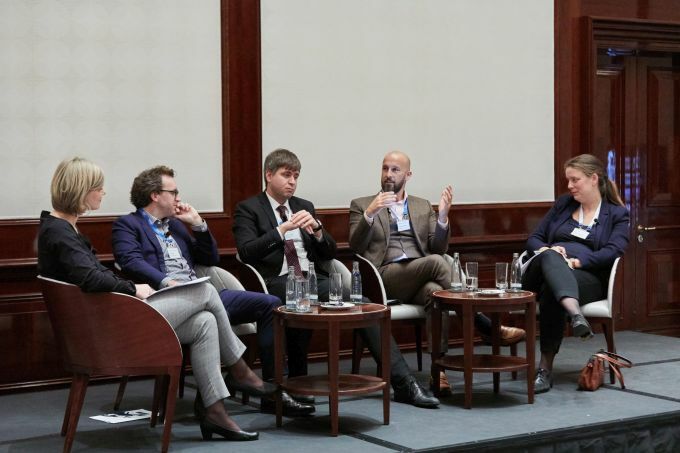 How can European labour markets maximize the benefits of technological innovations such as artificial intelligence, given the different degrees to which digitization drives sectors and industries in European economies? How are European policies related to the management, use and cross-border movement of data affecting growth? In the event of a trade war, is the EU in a position to defend and advance its interests internationally and avoid a tariff dispute with the US? A Getting Its Act Together: Can Europe Learn to Act Strategically? President Macron’s push to reform the EU and the German government’s commitment to a European renewal coincides with the likely departure of the UK as a strategic actor. At the same time, Europe’s political landscape has changed since the heyday of Franco-German leadership, not least with the competing visions at the heart of the current debate over the future of the EU. 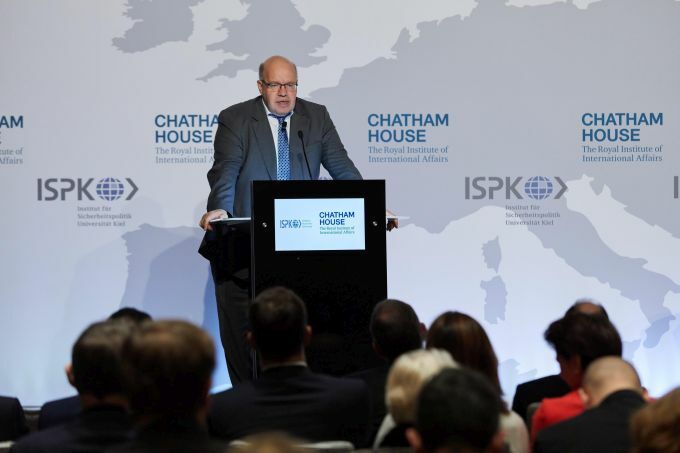 This will have implications not only for Europe’s ability to decide on a common political and security framework but also on its capacity to define its role in a more competitive global economy of the 21st century. 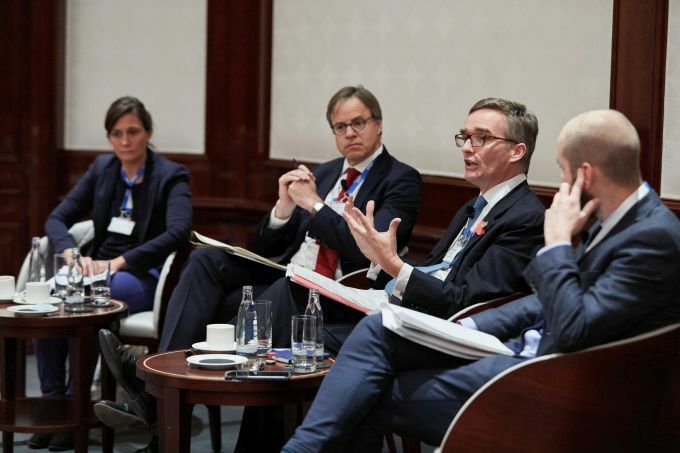 What institutions or group of countries will be able to deliver strategic leadership for Europe given the existing incompatible and competing visions for the future of the European project? What institutional reforms and political decisions are necessary for a coherent European strategic approach to the economic challenges of increased global competition and a return of trade barriers and economic nationalism? 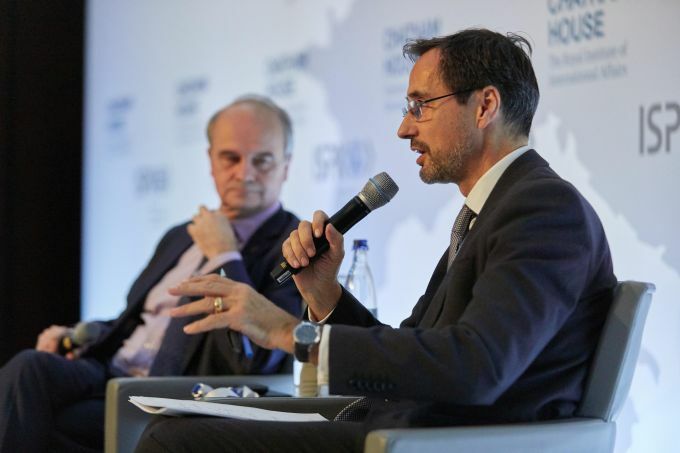 How can Europe make sure that smaller nations are not left out of common initiatives and at the same time prevent obstructions to strategic decision-making and action? Can Britain remain ‘plugged-in’ to European diplomatic, security and economic initiatives after Brexit? While the number of migrants and refugees has come down from its peak, there are still significant flows of people seeking safety and opportunity in Europe and risking their lives in the process. Meanwhile, the pressures on some front-line states remain intense, and immigration remains a top concern among European publics. Over the longer term, immigration pressures are only likely to increase given the pace of economic and demographic change, particularly in Africa. Is a European-wide consensus on migration issues possible? What could a wider political bargain on migration and refugee policy look like? How should European leaders address public fears about immigration? Does the EU have the right provisions on asylum? How can European states and the EU work with source countries, particularly in sub-Saharan Africa, to provide security and opportunity to their citizens? What are the risks associated with outsourcing aspects of immigration and asylum to third countries? The Middle East is witnessing a level of regional-power rivalry unseen since the end of the Cold War. Not only are competing interests fuelling civil wars in the region; the direct involvement of Russia, the US and other NATO countries such as Turkey has made the scenario of a direct military confrontation in Europe’s neighbourhood possible once again. On the political and economic side, the state of the countries of the region varies between grand political ambitions of reform and reorganization, stagnation and disintegration. This session will provide a better understanding of the current power dynamics and drivers of conflict in the region with the aim of identifying options for Europe’s engagement. 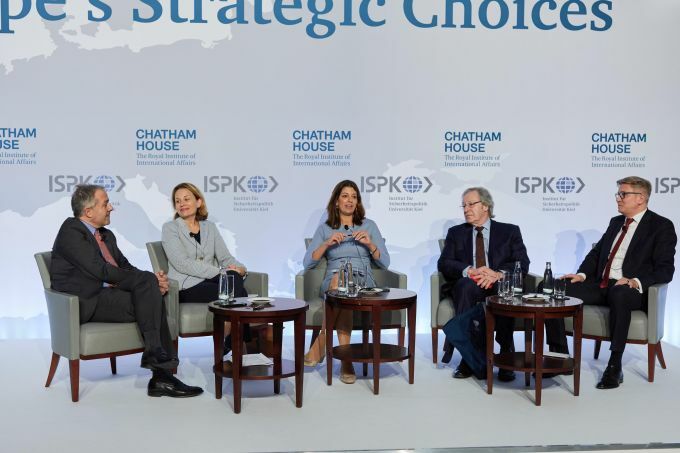 What will the regional order look like following the winding down of the conflict in Syria, and what are Europe’s options for its future strategic engagement? What influence does Europe have on the key powers of the region, such as Iran and Saudi Arabia? Who are Europe’s partners in the Middle East, and how can Europe strike a balance of supporting political stability and economic prospects in the region without sacrificing its principles and values? How reliable is Turkey as a key partner to Europe and a NATO ally in the region? What consequences will its changing economic prospects and political instability have on its foreign policy? What is the future of the Iran nuclear deal and what are the consequences of the shift in US policy towards the broader region? Plenary Session Three | The Future of European Defence Cooperation: New Milestones but the Same Old Problems? The debate over the future of the military dimension of the European Union’s security policy has been re-energized by the decision on a Permanent Structured Cooperation (PESCO). While presented as a milestone and designed to be complementary to NATO, Europe’s new ambition will have to confront the scepticism and reservations of partners in Europe and beyond. 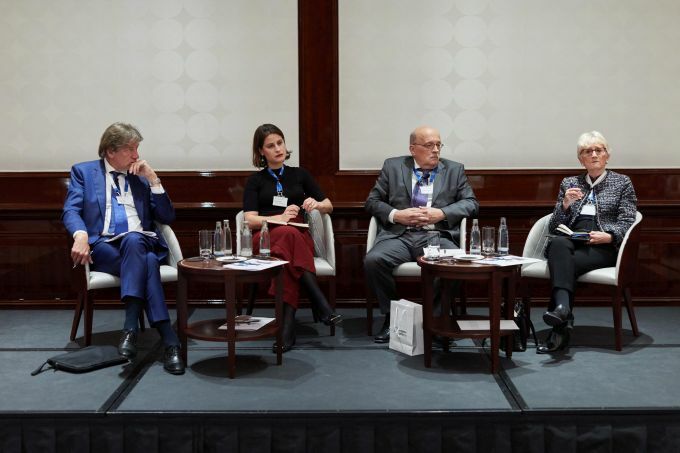 In addition to the question of who is willing and who is able to work together, diverging narratives and disparate perceptions among Europe’s states regarding past performances, current abilities and future contributions will also need to be addressed. 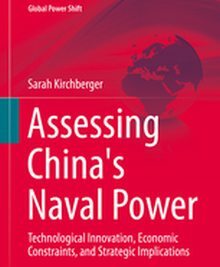 How can the different national preferences and interests be reconciled to achieve a deepening of industrial cooperation in the defence sector? After successive efforts to establish a common European defence approach, what can PESCO substantively change? 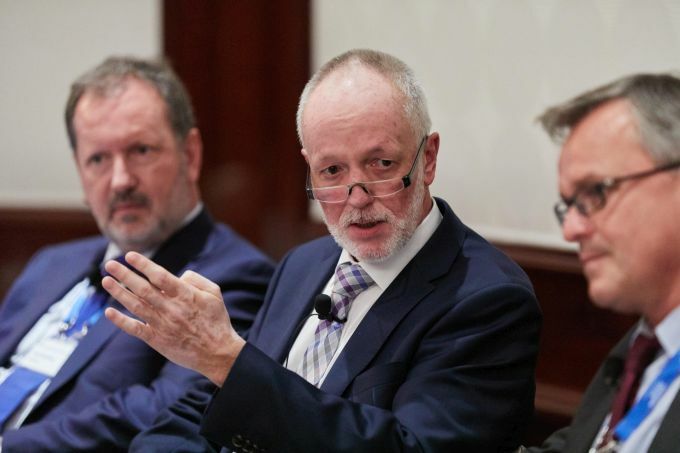 How can the European defence agenda deepen the transatlantic defence cooperation? Two years after the election of Donald Trump as president of the US, his administration has faced its first major political test at the ballot box. The midterms offer insight into whether Trump’s 2016 election and conduct in office represent a unique phenomenon or a deeper underlying shift in America’ politics, as well as its relationship with the world. The panel will analyse the midterm elections and their implications for the policies of the US for the next two years, as well as offer a half-time report on the Trump administration’s political course, its achievements, failures and prospects, and consider how the transatlantic relationship will develop. What do the results of the midterm elections indicate about Trump’s prospects for re-election? How should the first two years of the Trump administration be viewed? What should America’s allies in Europe expect from the US over the next two years? To what extent can the US be influenced by international partners? How might European states seek to nudge US policies in different directions? Enhancing cyber resilience is one of the principal challenges facing public and private institutions. There is a growing consensus that major cyber attacks are now a question of ‘when’ rather than ‘if’. The threats are multiple – from state-associated actors, terrorists and criminal networks. This session will focus on developing a better understanding of existing and potential cyber vulnerabilities and systemic risks, and ways to enhance preparedness and resilience. As cyber attacks continue to evolve in scale and complexity, how prepared are governments and companies for the current cyber threat landscape? In what ways is pressure on governments to act forcefully on national security issues shaping the cyber policy landscape? To tackle cyber crime, how can collaboration on intelligence, methodology and resources between states and businesses be improved? What progress is being made in terms of international cooperation and harmonization of regulatory and legal frameworks? The eurozone is enjoying a sustained period of growth, with unemployment falling and inflation down. While the response to the eurozone crisis has improved financial stability, the process of reforming monetary union is incomplete, and there are still important challenges over the longer term. Proposals to create a eurozone finance minister, budget and parliament, as President Macron has laid out, or even more ambitiously a degree of debt mutualization, will involve difficult compromises across the bloc, where the balance between notions of responsibility and solidarity remains hotly contested. What reforms in the euro area would be needed to improve convergence between economies with very different levels of growth and performance? How much appetite is there for reform across the bloc given competing political challenges? To what extent are German and French visions of monetary union compatible? How much more political integration is necessary to underpin the single currency? How might the goalposts of monetary union shift for those countries committed to join but not yet inside, and for countries hoping to join the EU in the future? How might this reduce the prospect of eurozone expansion in the medium term? Since the Euromaidan revolution, the EU has supported a reform process in Ukraine while working to end the conflict in the Donbas. 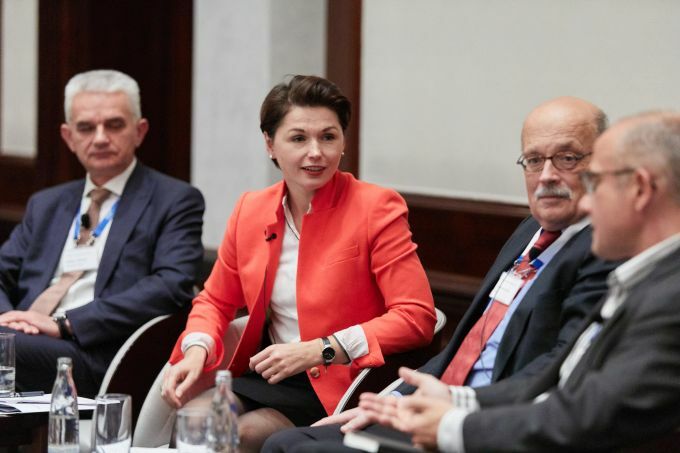 With the elections to be held in 2019, this panel addresses the questions of how Europe can (better) support change in Ukraine, how future coordination with US policy towards the country can be organized and what the future of the Minsk process will look like. How far has the reform process proceeded? Where do things stand regarding the conflict in the Donbas? What are the scenarios for dealing with the conflict in the future? What is Russia’s policy towards the conflict? Europe is at the threshold of an industrial future that is likely to be driven by artificial intelligence. How this will play out, and the costs of the transition to a new industrial age, are not yet apparent, but policy-makers and societies need to prepare the groundwork now to be able to design the future and not be left at the mercy of the forces of technology. In this context, regulation, standards and governance will play a key part. How can this be achieved given the limits of policy-makers’ reach, and the need for cooperation between competing public and private interests? 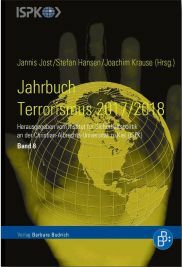 Eine Zusammenfassung der Inhalte und Ergebnisse der Konferenz (in englischer Sprache) findet sich im Konferenzbericht (PDF).